If you’re hosting overnight guests this Christmas holiday, make sure you show them some gems in our city! Here are some FREE and cheap ways to keep them entertained, and give them a taste of Cbus. 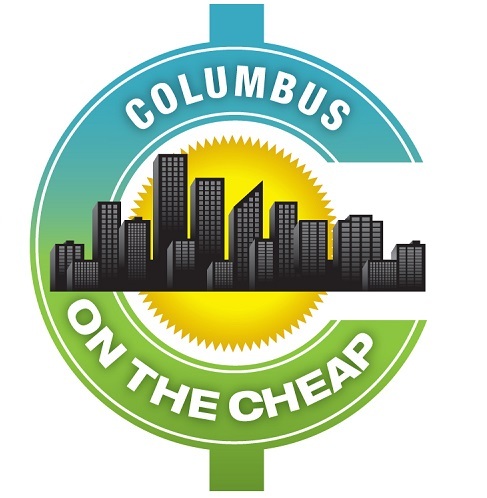 Don’t miss any upcoming deals by subscribing to Columbus on the Cheap’s daily emails, and following us on Facebook and Twitter. The ultimate way to show off our city is by exploring some of our great museums and attractions for FREE on Saturday, December 29 with The Big Explore, courtesy of the Columbus Foundation. In addition to free COTA rides, you get free admission to Columbus Museum of Art, COSI, Franklin Park Conservatory, the new National Veterans Memorial and Museum, Ohio History Center, The Pizzuti Collection, and Wexner Center for the Arts. Plus you can enjoy a super cheap treat at Jeni’s scoops shop! Easton Town Center is beautiful during the holidays! Whether you shop, walk around, or go out to eat, it’s a great destination with the holiday lights, Christmas Tree, train display, and more. You can also enjoy a Holiday Carriage Ride or catch a ride on the Easton Trolley. Easton is closed on Christmas Day. November 18 – January 2. This fixture of the downtown holiday scene has delighted people of all ages since 1992 with its trains, tracks, tunnels, bridges and replicas of historic German homes and castles. See the Huntington Holiday Train display Nov. 18 through Jan. 2 during Main Library’s regular hours. Free one-hour parking in the library garage. Check hours and holiday closures here. Annual Holiday LEGO® Exhibition at Columbus Museum of Art: November 18 – February 22, 2019. Columbus Museum of Art’s annual holiday celebration of the creative potential of LEGO® bricks returns. Bring your friends and family and celebrate the season by connecting with LEGO® and each other. Think Outside the Brick features an enormous collaboratively-built model of Columbus. Go on a LEGO® Scavenger Hunt! Hidden throughout CMA are a dozen gingerbread LEGO® cookies. Test your eye spy skills and find them all. (Parents – a map of where all the gingerbread cookies are located is available at the admissions desk, just in case.) Don’t forget – everyone can enjoy FREE ADMISSION at CMA every Sunday from 10 a.m. – 5 p.m., and $5 admission on Thursdays from 5-9 p.m.
12 Elves of Dublin Scavenger Hunt: December 1 – December 29, 2018. Pick up your 12 elves card at one of the downtown locations, and then search through the shops of Historic Dublin to find the 12 Elves. When your kiddo finds the elf at each stop, they will get a little prize. Collect them all and return your completed card before December 29th to be entered to win one of three grand prize drawings. All Oakland Nursery locations have special holiday fun on weekends leading up to Christmas, including live music, carriage rides, Santa, holiday treats, and more! There are so many (SO MANY!) great Brewery, Winery, Meadery, or Distillery options in Columbus. Take a tour if they are offering them, or just visit the tasting room for a drink or two. Need help finding one? Drink Up Columbus has a list of directories that will guide you! You don’t have to wait until the New Year to start up a fitness routine. Eat an extra cookie or 3 and lose the guilt with these free fitness options in Columbus during the winter. You’ll find suggestions for indoor options, as well as great outdoor hikes! Enjoy a happy hour – you deserve it! Check out our huge list of happy hours in Columbus, and kick back with friends, family, appetizers, and good drinks for an hour or two! There are several indoor ice skating arenas that you can enjoy no matter the weather. Most outdoor ice skating options won’t open until the weather is consistently cold. Please check links to verify if outdoor rinks are open, and holiday hours for the indoor rinks. Merry on Main in historic Uptown Marysville is an “ice-less” skating rink, and is open through January 1 (except Christmas Day). Dreaming of a White Christmas? If it’s a reality, here are 25 places to go sledding in Columbus. Whether you’re looking for small or large sledding hills in Columbus, there are plenty of options. Please obey all posted signs for parking, sledding, and other designations, as availability of these hills may have changed since last sledding season. If you have other favorites, I’d love to hear them! Roller skating is still a thing, and it’s still fun for kids and adults! Skate Zone 71 near Morse Rd: Open every single day through Thanksgiving break, the holidays, and Christmas break. Tons of skate parties with character visits, Little kids skate is on Saturday mornings. There are also discounted days, young teen nights, and adult nights. There’s an New Years Eve party with mock countdown, as well as a family New Years Eve night with midnight countdown. United Skates of America on Refugee Rd: Lots of family skate and discount days over Thanksgiving break, Christmas season, and Christmas break. Open every day except Christmas Eve, including a Christmas evening session. Character skates feature Minions, Turtles, Superheroes, and Trolls. Also offering several New Years Eve parties and New Years Day skate. We’d love to hear how you like to entertain guests during the holiday season in Columbus!